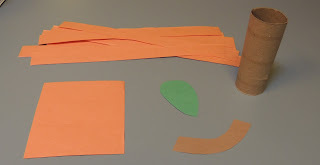 Have children wrap orange construction paper around a toilet paper roll using scotch tape to secure it. 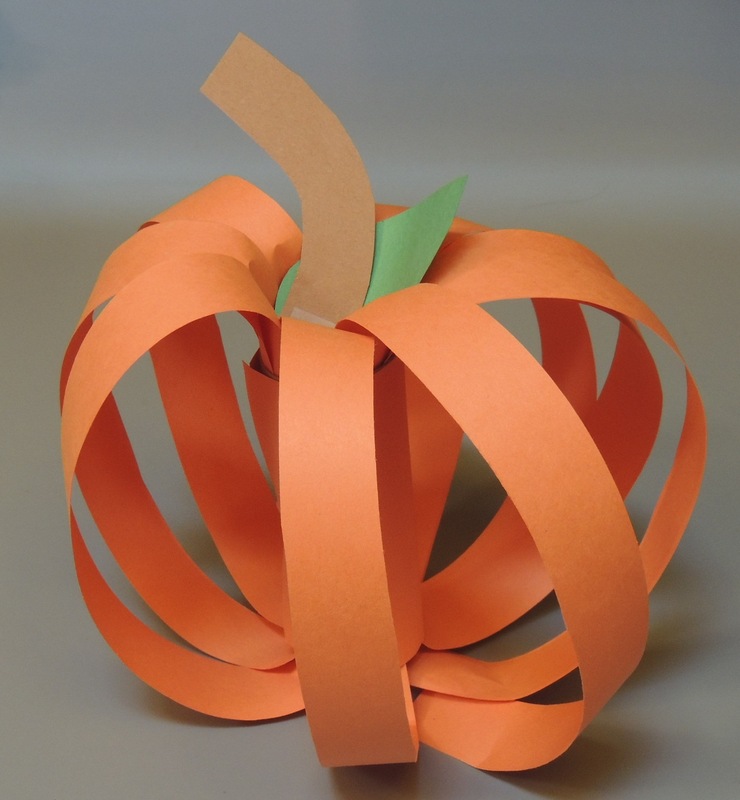 Let them cut out 10 one inch width strips of orange construction paper for the body of their pumpkin. Starting at the top end of the toilet paper roll, have the children attach a piece of scotch tape to one end of the construction paper strip and tape it into the inside of the toilet paper roll. Have the children repeat the process, going all around the toilet paper roll, until all the construction paper strips are taped inside. After that, have the children attach scotch tape to the other end of the construction paper strips and tape it to the opposite end of the toilet paper roll. 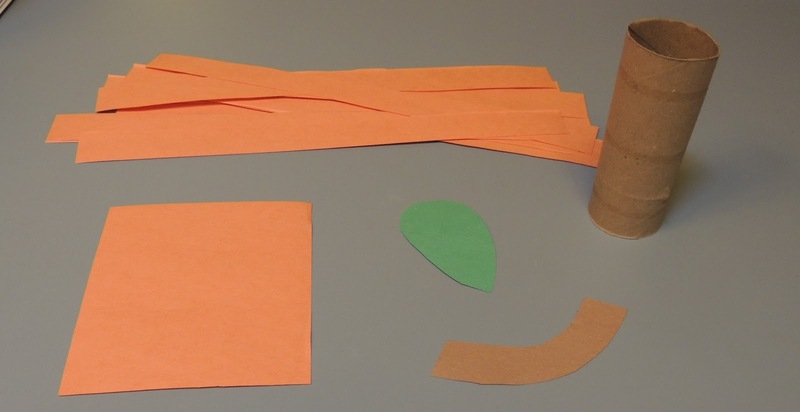 Lastly, have the children cut out a green leaf and a brown stem. Then tape them into the opening to complete their Toilet Paper Roll Pumpkin. To make this project easier you can pre-cut everything that the children will need to complete this project.